Make chills a thing of the past. 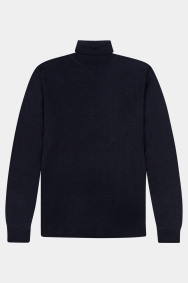 This jumper by Moss London is smart and practical. 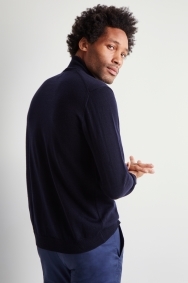 It features a contemporary roll neck, making it a great layer for the colder months, plus it’s made in Italy from 50% merino wool for added warmth. The plain navy tone is an ideal foundation for any smart-casual outfit, whether you’re heading to work or out for the evening. Switch up your weekday outfits by pairing this jumper with skinny fit trousers and smart boots. Going casual? Swap the trousers for skinny jeans and the boots for trainers. 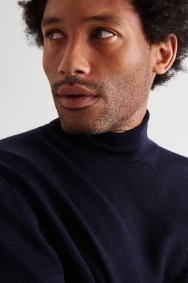 It felt cheaper on not to look at compared to the merino roll neck that was also ordered. A very nice item and a good fit.